Country rockers, get excited for an all new artist headed to Bundaberg this April! At just 20 years old, Keely Johnson is making a name for herself in the music world. 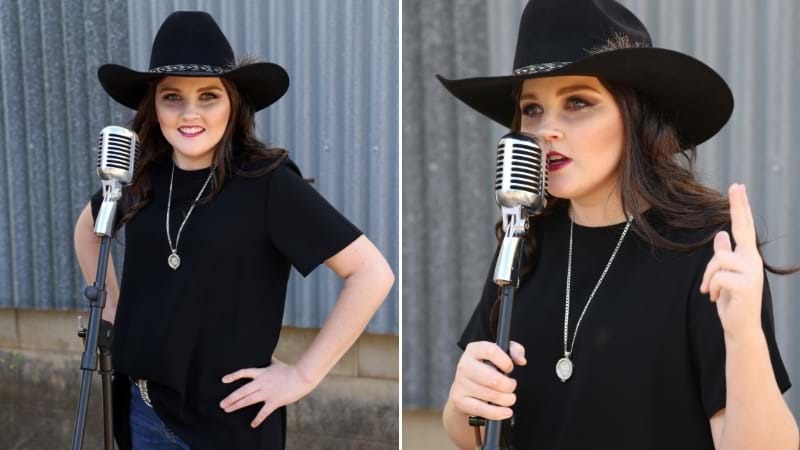 The young artist is set to release her debut album Fierce at the Cowboys' first home game at the end of the month before heading off on a 3-week tour visiting 16 towns across regional Queensland. Inspired by artists such as Lee Kernaghan and Shania Twain, Keely's album features songs co-written by renowned Nashville and Aussie country writers. "My title song Fierce... is about my story, but it's also for anyone that is doing it a bit tough, to give them strength." Keely founded her own charity Golden Octopus Foundation in 2015 for child cancer patients and their families. Read more about the charity HERE. For every album sold, Keely has pledged to donate $2 to the charity. She will be touring alongside South East QLD artist Amanda Faulkner, who will also be donating $2 from every album sold to the charity Drought Angels. Keely said she is looking forward to returning to Bundaberg and performing here for the first time. She is set to appear at Melbourne Hotel on April 15th. Tickets are on sale now.